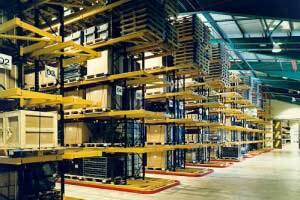 By allowing forklift trucks to operate in aisles up to half the width required in conventional adjustable beam pallet racking, Narrow Aisle Pallet Racking makes excellent use of your warehouse floor space and maximises the cubic capacity of your premises by using all the height you have available to provide the optimum number of pallet positions. 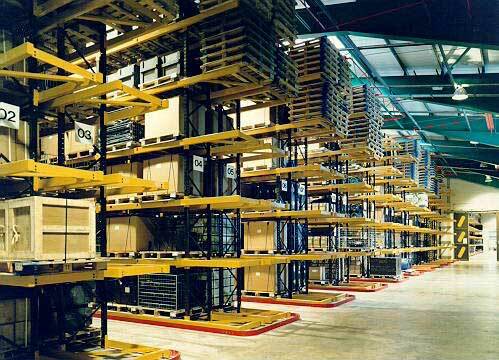 Narrow aisle pallet racking still uses traditional pallet racking frames and beams to form the basis of your pallet storage facility but unlike conventional pallet racking you have to have a bottom beam level fitted to enable the pallets to be loaded / unloaded over the guiderails that are fitted to the floor along both sides of every aisle. 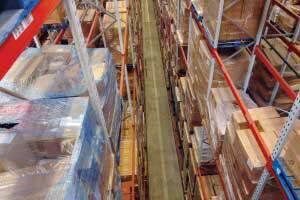 These guiderails ensure precise positioning of the narrow aisle fork trucks whilst in use, as if they crab down the aisles it can cause problems and even lead to the forklifts getting stuck. 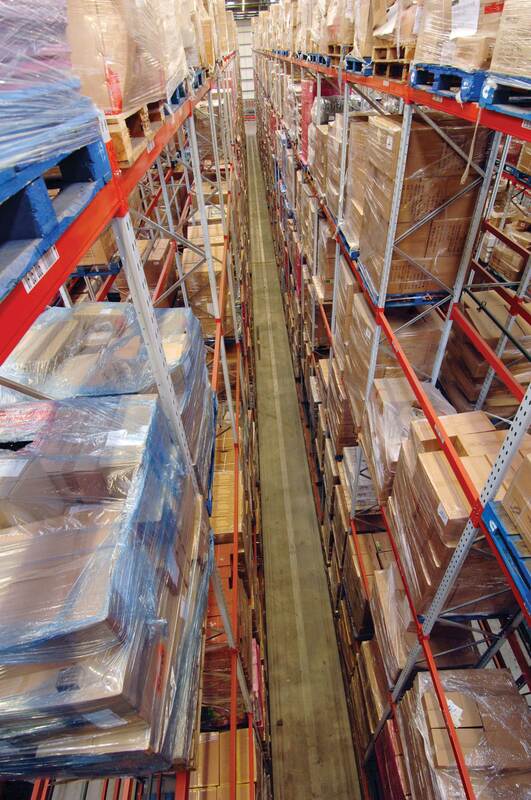 At the end of each aisle the guiderails are splayed out to enable the narrow aisle fork truck to be guided gently into / out of the aisles when loading pallets onto the picking stations ready for traditional forklifts to move the palletised goods to the lorry or next stage of the process. 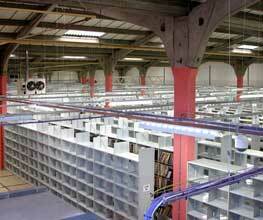 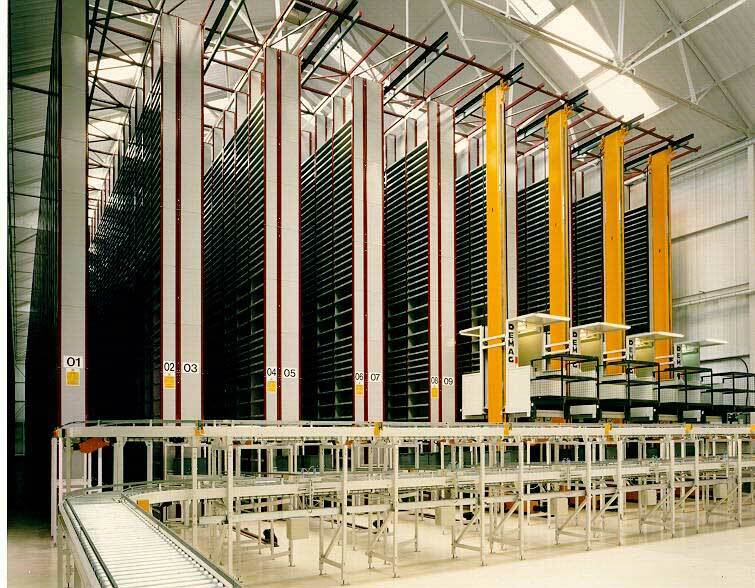 Narrow aisle racking systems can be designed and installed to suit even the tallest of warehouse using specialised lift trucks in either ‘man-down’ or ‘man-up’ variants, narrow aisle racking is precision designed for safe, efficient load handling and just about the largest pallet position capacities available (apart from mobile pallet racking which uses many less aisles but is more time consuming to access / use and more costly to install). 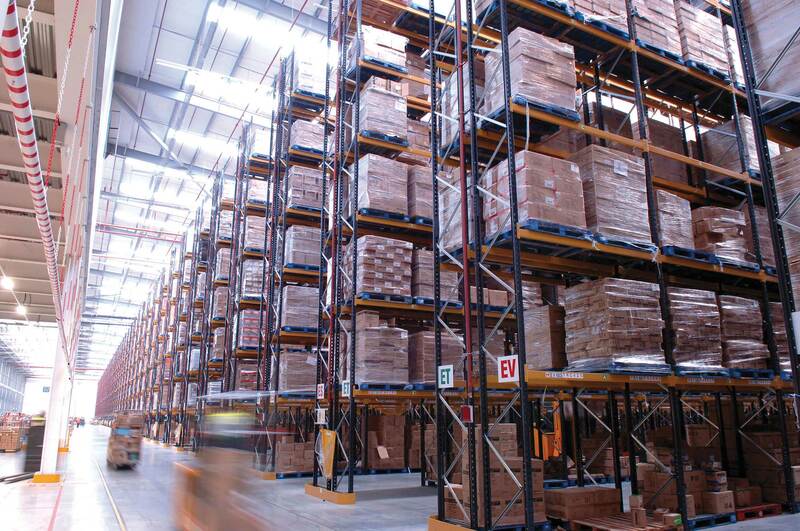 The use of guide rails and man up trucks also drastically improves safety, whilst minimising the risk of accidental damage to racks or pallets of product, improving the speed and accuracy of your pallet handling. 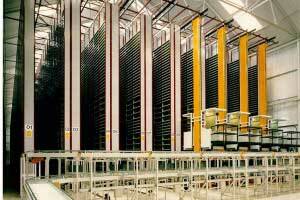 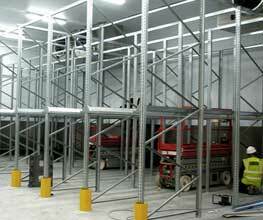 We have designed and installed many narrow aisle racking systems over the years from small installations to entire 100,000 sq ft warehouses for major food and drink manufacturers, please call us to discuss your requirements today.